This is my first time building a PC. This build is based around an AIO cooled i7 9700K, with a stable under-volted all core clock at 4.9GHz/1.267V/AVX-2, and a Z390 ROG STRIX iTX board in a thermally efficient package. It's as much power as I could get into a small solution within my budget and I am very happy with it. 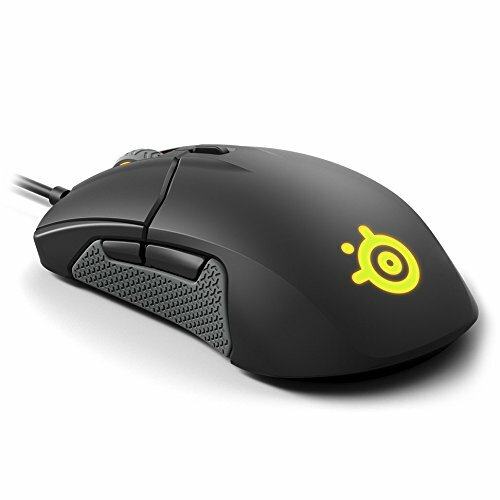 When doing any combination of surfing/streaming, this thing is virtually silent. Under load, HD gaming with AAA titles on ULTRA and the GPU boosted to 2012MHz, the CPU hovers in the high-forties and the GPU is at or bellow 70° with 120+ fps, depending on title. Let me know what you think of my FIRST PC bld and +1 if you like. EDIT, 20190203: the tubing exiting the H100i Pro AIO head was putting pressure on a RAM DIN so I rotated it 90° and rerouted the tubing above the the NZXT cable shroud by mounting the radiator the top most position in the mounting bracket. Super clean look now and mounting the radiator at the top of the bracket created a 2.25" gap at the bottom, which is letting my GPU draw clean air. Added an ASUS ROG sticker to a fan, +5 fps. Convinced this frame can handle a 280 rad. EDIT, 20190303: updated all core under-volt clock speed, GPU thermals and fps. The fps, I mean, it depends on title. 120s PUBG, 160s in Anthem!? Keep in mind it's HD, 240Hz, Freesync. Also, the 1070 Ti FTW2 is a fantastic card. With 60% voltage I have a very stable 2012 MHz and +400 mem, with the trade off being thermals. Still, GPU, Power and Memory all stay at, or below, my target of 70° C (this is with an aggressive 1200-1500 rpms from my ML exhaust fans - not silent). I also think there is a lot more left on the memory clock, since temps are still in the low 60s during peak tasks, but I haven't found a convincing reason to push further. Also, I bought 2x VEGA 64 cards (wtf!!??! ), immediately RMA'd the first one (reference edition) for shipping damage (ebay merchant was super cool) and purchased a Sapphire Nitro+ 64 w/ three free games from NE for $419, AND a Morpheus II Core GPU heat sink! I have five concerns: (1) my case is too small for a Morpheus cooler and two more MLs (obviously ML120s); (2) I don't know if I should use black, white or red ML120s with the all black Morpheus cooler? ; (3) the SF600 is an awesome PSU, but I am concerned that even with an under-volt, the VEGA will consume all; (4) IF I get red MLs, the red will wash out the entire white/black aesthetic, but thematically it makes so much sense; (5) wattman. Next steps are to mount and run the VEGA stock in my case and test performance, thermals and power draw. More updates to follow. EDIT, 20190308: So. The Nitro+ VEGA 64 is not going to fit in the NZXT H200. The MSI VEGA 64 that I just sent back to eBay, it would have fit. Perfect. If I remove the front panel and pull the radiator bracket out (thumb screws) I should be able to mount and boot the Nitro+. Sigh In related news, I just backed the Nouvolo Steck on Kickstarter. It won't fit there either. You did a great job and your parts list is well chosen and priced. Just noticed your monitor, how you getting on with that blazing fast 240Hz? I have never owned such a speedy monitor in my life. Thank you. When I finally booted into Windows and changed the display settings it was like, oh. Okay. This is what a displays is supposed to look like. It is insanely sharp, but 27" 1080p is almost too much monitor for my desk. No complaints though - GSync was just unlocked! Hear you on monitor size. I had to buy a new and bigger desk to balance out aesthetics. I bet that monitor is sharp, you will enjoy this set up for many months and years to come. That is an awesome build! Looks like you got some awesome deals as well. Also hanks for the advice with the fans! Thanks! You're welcome as well. 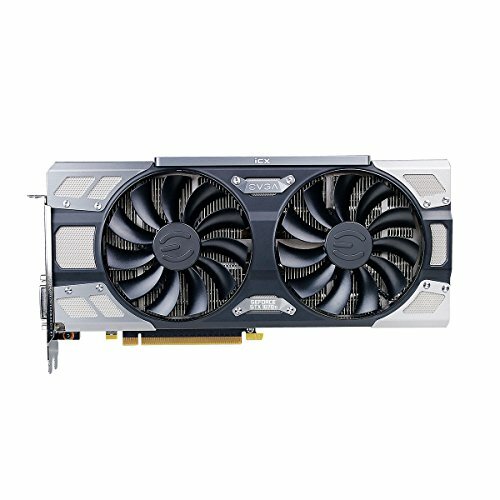 Very Interested in this build for my first PC! 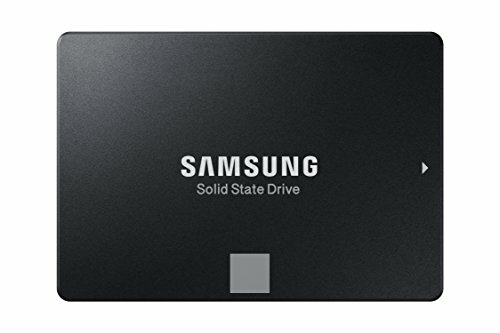 I want to stream and play Fortnite at least a consistent 144FPS. 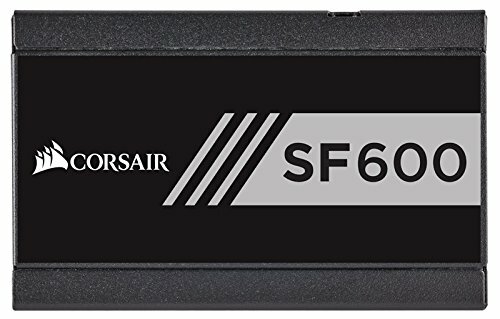 Would you recommend this build to do so? Absolutely. This would be an awesome build for that. Unless you pick up a GPU in the next few weeks, the 1070s will be gone - I'd consider looking at a 2060 or a 2070. Also, you might be able to get away with an eighth or ninth gen i5, I'd recommend an unlocked processor if you have the budget. You did an amazing job for your first build! I absolutely love it! This is probably one of the best first builds I've seen in the H200. How are you liking the h100i pro? I have been looking for an aio for my build. Thank you very much! I appreciate the positive feedback! The H100i PRO is great. 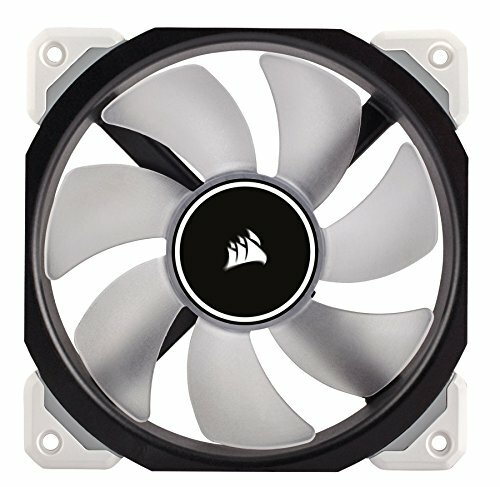 It has the new Gen6 AIO pump (nice to have; not need to have), but the real deal are the fans that it comes with: I really like the ML series Corsair fans. They are virtually silent <1500 RPM and can max out at 2400 RPM, pushing a serious amount of air (with the trade off being noise). Under max load, my CPU idles at 49°C (note: I am re-mounting my AIO block this weekend with aftermarket thermal paste - will update if it makes a difference). Even if you don't get the PRO and find a great deal on another AIO (e.g. H100i v2), I think the fans would be a great upgrade. This is a smokin' deal (refurb, but heard they ship 'as new'): https://www.reddit.com/r/buildapcsales/comments/aj31eg/aio_its_back_refurb_corsair_h115i_6921/ Although the H200 doesn't officially support a 280mm rad, I have seen people do it successfully (just need to watch your GPU clearance). I think a BIG 280 AIO in the H200 would be BOSS!! Sick build! What is the GPU load temp after you got the bigger clearance at the bottom of the psu shroud? Thank you! Under full load, the GPU temp is 69°, Mem temps in the low 60s. The FTW2 has ICX, so I get great data. With 60% voltage, I can get 2012 MHz and a +500 Mem Offset at those temps. I haven't run default GPU settings in a while, I'll check those and see it they dropped. UPDATE: I am seeing a (2°) drop in GPU temps with no OC. Not bad, considering I wasn't expecting anything and just wanted to clean up the routing!? Would recommend. Very nice build bro!!! Love the aesthetic of the whole thing. I very much appreciate your kind praise, thank you. This was my first time building a PC and I thought very carefully about the theme and components. If you are also using an AIO to cool your CPU, consider mounting the radiator at the top of the H200's radiator bracket - this allows you to route the AIO tubing above the cable shroud - very clean look and also improves thermal performance. I have pics. If you have any questions, please let me know. Great build! Is your gpu loud under load? My target temp is 70, so it ramps quite high and makes some noise; however, that is a trade off I made to boost it. oh okay. Thanks for the reply! P.S. : Thanks for the tip with the rad! Love H200 builds with plenty of power! 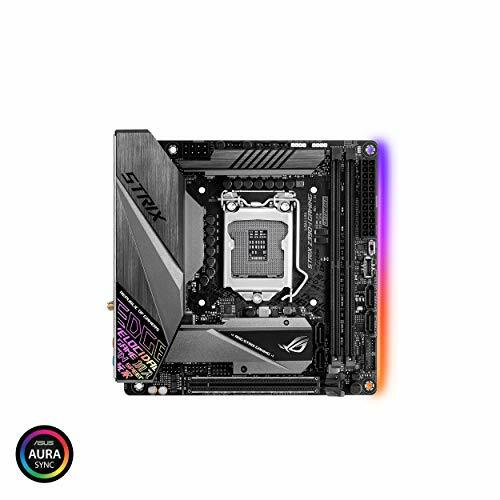 Death to the Asus Rog Strix Z390-I board! Hated it so much in my build haha. Thanks dude - I am planning on moving my Strix Z390-I to a Sliger Cerberus case with literally no cable management this weekend: wish me luck! This is a really nice build! Very clean.